John Smith’s Brewery was founded in 1758 by Backhouse & Hartley at Tadcaster in North Yorkshire, England. John Smith bought the brewery in 1847. John Smith’s is the sixth highest selling beer brand in the United Kingdom, and the highest selling ale brand. It is the highest selling bitter in the world. The company grew to be one of the largest regional brewers in the country. It was taken over by Courage in 1970 and is currently owned by Heineken. John Smith’s is the largest commercial sponsor of horse racing in the UK, including the Grand National since 2005. It is also well known for a series of highly successful television advertising campaigns, featuring the actor Gordon Rollings during the 1980s, and the comedians Jack Dee during the 1990s and Peter Kay since 2002. Twix is a chocolate bar made by Mars, Inc., consisting of a biscuit finger, topped with caramel and coated in milk chocolate. Being somewhat smaller in width than other confectionery bars, Twix bars are typically packaged in pairs. 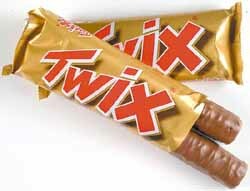 Twix, which stands for “twin sticks,” was first produced in the UK in 1967, and introduced in the United States in 1979. 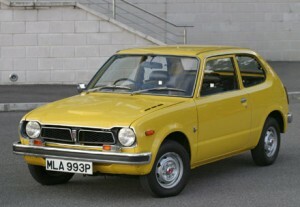 The Honda Civic was introduced in July 1972 as a two-door model, followed by a three-door hatchback that September. With the transverse engine mounting of its 1169 cc engine and front-wheel drive like the British Mini, the car provided good interior space despite overall small dimensions. Early models of the Civic typically included a basic AM radio, heater, foam-cushioned plastic trim, two-speed wipers, and painted steel rims with a chromed wheel nut cap. As the years went by, it has become much more upscale with options such as air conditioning, power locks, power windows, leather upholstery, satellite-linked navigation, and a six-speed manual transmission. Initially gaining a reputation for being fuel-efficient, reliable, and environmentally friendly, later iterations have become known for performance and sportiness, especially the Civic Type-R, Civic GTi and Civic SiR. Amstrad is a British electronics company, now wholly owned by BSkyB. As of 2006, Amstrad’s main business is manufacturing Sky Digital interactive boxes. Amstrad was founded in 1968 by Alan Sugar at the age of 21. The name is a contraction of Alan Michael Sugar Trading. It was first listed on theLondon Stock Exchange in 1980. During the late 1980s, Amstrad had a substantial share of the PC market in the UK. Amstrad was once a FTSE 100 Index constituent but is now wholly owned by BSkyB. The company is based in Brentwood, Essex. Philishave was the brand name for the electric shavers manufactured by the Philips Domestic Appliances and Personal Care unit of Philips (in theU.S.A., the Norelco name is used instead). In recent years, Philips had extended the Philishave brand to include hair clippers, beard trimmers and beard shapers. Philips used the Philishave brand name for their shavers from 1939 to 2006.